2d road markings can be draped over a 3D surface with a single button press or individually selected for more precise control. 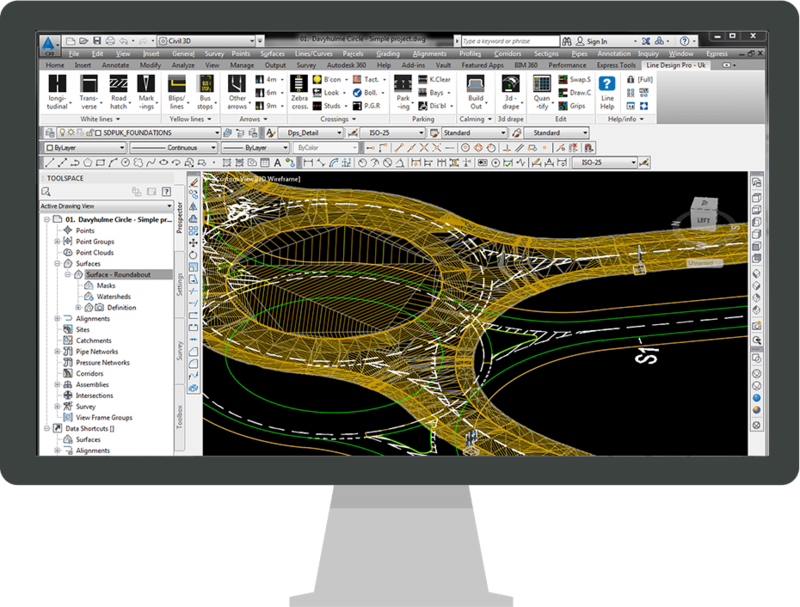 The markings follow the Civil 3D corridor exactly, this is ideal for use in 3D drive views where schemes can be viewed in real time, or used in presentations. Get a better view over all the features in Line Design Pro and what they can do to improve your workflow.